My children thoroughly enjoyed Feline Fascinations, as did I. 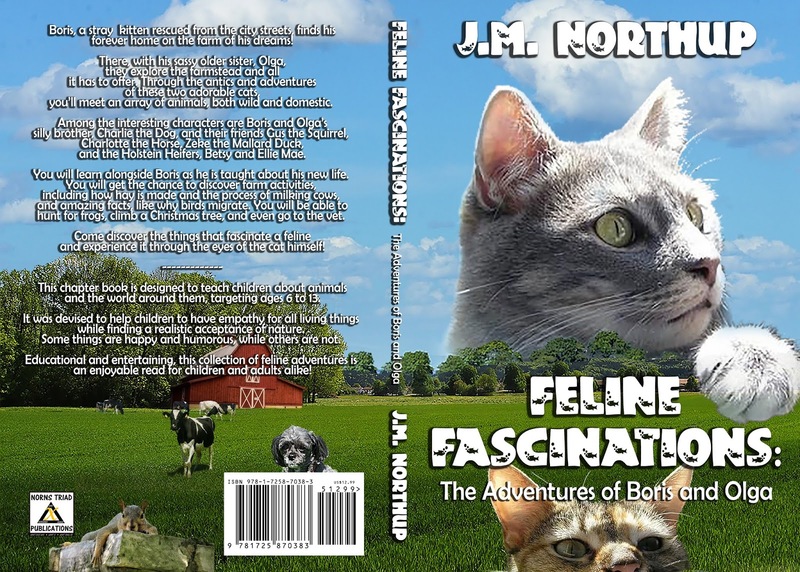 The tales follow cats Boris and Olga and the things they experience and learn day to day. The book isn't 'dumbed down' for its audience of children and carefully teaches lessons in things such as friendship and tolerance. It's a lovely book to read with children, or for them to read alone. I think this could go far as a series, with tales from the other animals who are introduced in the stories. I have to confess that, although I really liked Boris, my favourite character was Gus the squirrel! Recommended to Mary by: Have read and loved another book by this author. 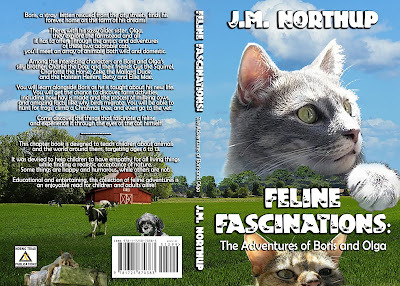 Feline Fascinations: The Adventures of Boris and Olga by J.M. Northup is more than a young person’s story book. First of all, the writing and dialogue is wonderful. The amount of research that went into these stories overall is far-reaching. The author thanks the man who provided much of the farm life information. This shows a collaboration that must have been long and tedious but it helps to breathe life into the actions of the characters. It made the setting and background come alive for me. It shows the care taken by the author to write exactly what the book needed to include. Additionally, the author shows an understanding of situations in human life and how they play out and resolve. This shows up in how life’s lessons and interaction happen between the animal characters. The main characters are, of course, cats. This is a book for young children. While each story is separate unto itself, each story carries the book forward. I can see this book being read to children in an on-going basis, perhaps as each season approaches and passes as they do in the stories. Children have a way of identifying with animals. It is my belief that in doing so with these stories, children will learn valuable lessons in how to act and react and how to treat others in real life. This is a wonderful book for young children. It’s entertaining while possibly instilling emotional and moral values in the young. I highly recommend this book to those who read to their children. I also highly recommend it to young children who read on their own. And I whole-heartedly give it 5 stars.